For those of us with ethnic hair, going to the gym can be a major problem. Not because we hate working out, but because of the toll that sweaty workouts can take on our hair. If you find yourself avoiding the gym because you’re worried about the impact on your hair, here are some simple tricks you can use to keep your mane in check. 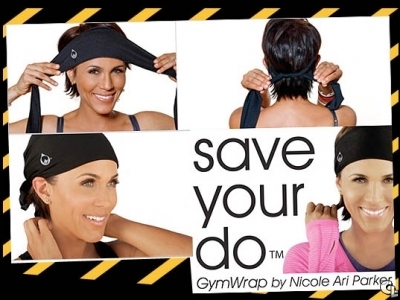 Purchase a large bandanna in a style you’ll want to wear in the gym. When it’s time for a workout, there are different options for different textures of hair or hair extensions. If you have straight hair, brush your hair back into a ponytail. If your hair is wavy, smooth down the top and make two braids on each side of your head. Next, fold the bandanna in a triangle and place it on your head. Smooth it down towards the back then tie it securely. If you’re wearing a ponytail, you can let it hang loosely to avoid frizzy hair secure it by twisting it into a bun. The trick is to work out in intervals, which means low intensity and high intensity with cool down periods in between, stay hydrated while keeping the bandanna in place. Then, after you’re done exercising, don’t remove the bandanna until after all of your sweat has evaporated and the bandanna is dry. Another tip is to schedule your styles around your workouts so that they don’t conflict. If you know that your straight styles won’t survive your weekly exercise routine, then try to wear them before you have your workout. After your workout, you can transition to textured styles leading up to your next hair appointment. Is your weave starting to look too weavy? We’ve all been there. I don’t think there’s a weave wearer out there who hasn’t purchased a bad batch of hair, tried to save money by purchasing cheap hair or simply waited too long between trips to the salon. If your extensions are starting to look like a tangled nest on top of your head, here are some tips on how to make the best of a bad situation. If your hair extensions are still pretty and intact but your roots are in need of a touch up, just use some creative styling, consider wearing a Fedora hat to your next event or night out. You can also try a head wrap, both are great ways to stylishly conceal your new growth. If the hair is dry or tangles up, try washing and deep conditioning it with silicon mix to work out those pesky tangles. If you’re on the go, keep a travel-sized brush with you at all times. Whenever your weave is acting up, you can excuse yourself to the bathroom and comb it out from ends to root. If your hair is curly and keeps getting bigger and bigger as the day goes on, try an apple cider vinegar rinse and co-wash before you leave the house. You can then apply a light moisturizing oil to the ends. Keep a small spray bottle with you throughout the day to apply light spritzes of water that will help keep the hair under control. No home remedy can top the benefits you’ll get from only buying top-quality, 100 percent human hair from a reputable salon or extensions store. Natural human hair extensions, properly maintained, will keep their look longer and better than any of the cheaper alternatives. Although many of us search the stores looking for new products to use to achieve the perfect hair, did you know that beautiful hair starts from the scalp? Unfortunately, many of us suffer from dry, itching, irritated scalps and other problems which have a major negative impact on the health and appearance of our hair. However, there are a number of easy DIY techniques you can use to heal and promote a clean, healthy scalp. For this treatment, you’ll also need a scalp brush, bowl and applicator brush or cotton balls. Combine four tablespoons of coconut oil with two tablespoons of lemon juice and one tablespoon of grapefruit juice. Slowly and gently roll the scalp brush across your scalp to stimulate the skin and dislodge any build-up. Part your hair in the center, then apply the oil mixture onto small sections of your scalp with the applicator brush or cotton swabs until covered. Finally, give yourself a good scalp massage, let the treatment sit for 20 minutes and then clean up with shampoo and conditioner. Tea tree oil can be irritating, but if your dry scalp problems involve dandruff, it can be one of the best remedies around. You can modify the above recipe to use tea tree oil instead of citrus, perhaps also with some rosemary oil for more follicle stimulation. Use no more than two to four drops of tea tree oil, depending on your sensitivities, and apply as above. Also consider adding tea tree oil to your usual shampoo. One under-appreciated cause of many scalp ailments is poor circulation. If you suspect your scalp isn’t getting enough blood flow for optimum health, consider a massage. After brushing your hair while bending or lying down, massage in small quantities of olive oil, making small circles with your fingertips. Next, wrap your head in a hot, damp, towel and sit comfortably for 10 minutes. Remove the towel, and rinse with warm water or shampoo if desired. Did you know that the food you eat can positively effect the state of your hair? Among these foods with beneficial effects are several “superfoods” that can help promote hair growth or improve the overall state of your hair. Below, we’ll discuss some of these common foods that are believed to be helpful in getting your hair to grow. Plain old kidney beans are actually one of the best sources of many hair-healthy nutrients. Kidney beans can be served in all kinds of dishes like soups, wraps or salads. Kidney beans contain large amounts of protein, which is known to strengthen hair. Sometimes, overly dry hair can be a sign of a biotin deficiency. Luckily, a single serving of kidney beans also contains an entire day’s value of supplemental biotin. Another great source of hair-growing protein is yogurt. Yogurt can be incorporated into many breakfast dishes, mixed with fruit or enjoyed as a topping on other foods. Always watch out for extra fat content, but adding a single serving of yogurt in your daily routine can be a healthy way to increase hair growth. To promote scalp health and decrease shedding of hair, few nutrients are as important as Omega-3 fatty acids. For a healthy daily dose of Omega-3s, try a single serving of fresh salmon with your next meal. Vegetarians can consider flaxseed oil or other high-Omega-3 alternatives to salmon. Collagen is a substance that surrounds and protects your hair strands, but it breaks down with aging. Vitamin C is known to boost collagen levels and may help protect hair from damage due to collagen deficiency. 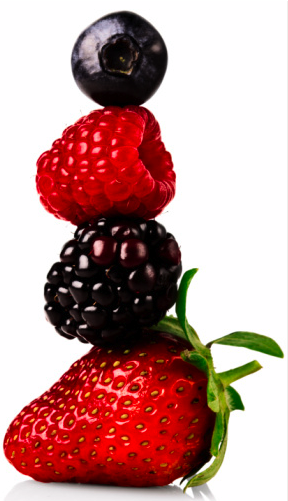 For a major dose of vitamin C, try adding a few servings of fresh berries or citrus fruit to your diet. Almonds are loaded with essential nutrients that can have a major effect on hair health. Among others, almonds are a terrific source of Zinc, which boosts scalp health and hair growth and helps maintain healthy oil production. Consider a small handful of almonds as a snack during the day. With traditional uses including cosmetics, cooking and the treatment of skin diseases, Argan oil is a great option for anyone looking for natural alternatives to the usual health and beauty products. 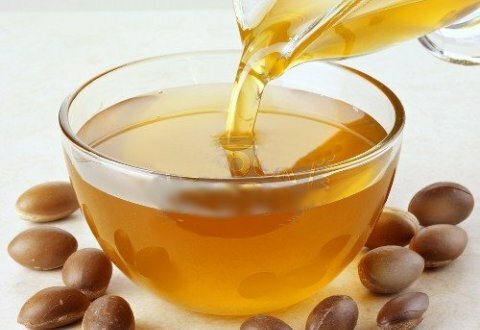 In just a few short years, the number of personal-care products containing Argan oil has increased massively, and this wonderful traditional oil is now taking its place in the modern world of natural health and beauty products. Advocates of the oil say that it’s perfect for all skin and hair types and provide a nourishing effect and a glowing, healthy look. Argan oil is produced from the kernels of southwestern Morocco’s Argan tree (Argania spinosa), and the tree is perfectly suited to the dry weather in this part of the world. The Berber people have harvested and used the oil of the Argan tree for hundreds of years, and they’re still its primary producers for the international market, as well as the best source of knowledge for traditional culinary, cosmetic and medicinal uses. Today, consumers can purchase argan oil at many different quality levels. The best Argan oil will stay fresh for 12 to 18 months. Argan oil’s many beneficial qualities are a result of its unique chemistry. The oil includes large amounts of Vitamin E, which can help revive damaged hair, and Omega 3 and 9 fatty acids, known for their healing effects on skin and hair alike. Argan is believed to build hair strength, nourish new hair and treat split ends and tangles, all while moisturizing the scalp. Argan stays fresh longer than some other oils and is perfect for hair extensions as well as the user’s own hair. Best of all, it can be easily combined with shampoos or hair conditioners or added directly to the scalp or extensions. We all like the convenience of natural human hair extensions, lace wigs and weaves. They allow us to add length and volume to our natural hair, or to try exotic hair textures. However it is not ideal to wear the same installation method 12 months out of the year. 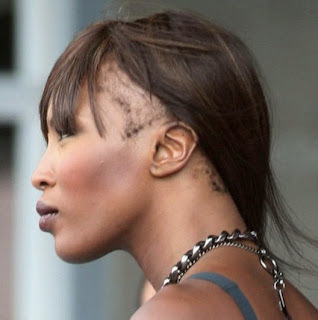 Constant tension on the same area of the scalp can lead to damaged hair follicles or thinning hair. This can be avoided, it is simple all you need to do is switch up the way you have your virgin human hair extensions installed. For example if your current weave is sewn in next time try clip-on hair extensions. They can be applied with or without the help of a stylist, they are undetectable, they look completely natural, and they are available in various length and texture. Only purchase quality human hair extensions, to ensure that you look your best! For more information visit our website at www.truehaironline.com, was this information helpful? like us on Facebook , or follow us on Twitter.